ACE 15HW by ToneJunkie (Kemper profiles demo) - Fret nut... Have Guitar! Welcome to yet another Rig Showcase from Have Guitar! I’m happy to bring you a demo of a fine Kemper profile pack from Tone Junkie – ACE 15HW. This pack trying to recreate the sound from a VOX AC15 amplifier (kill me if I’m wrong on that!) and this pack gives you 44 Studio profiles for your KPA. As I say in the video, ToneJunkie seems to deliver every time… and this is no exception as I hope to prove with this demo video. Don’t expect metal but there are some gain to be had together with a sweet tone and very good variation throughout the profiles. 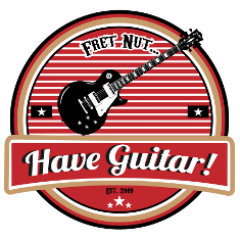 Hope you liked this video – subscribe for more guitar madness from Have Guitar! To all you who are subscribing – Thank You, your support is great!